An Iranian politician known for his role in planning and approving the deadly 1994 terrorist bombing of a Jewish center in Argentina has officially been appointed to helm Iran’s top foreign policy shop, a posting formerly held by current President Hassan Rouhani. Ali Akbar Velayati, a longtime regime insider who serves as a senior foreign policy adviser to Iranian Supreme Leader Ayatollah Ali Khamenei, was recently selected to head Iran’s Center for Strategic Research (CSR), a think tank closely tied to the country’s Expediency Council, a powerful governing body that reports directly to Khamenei. 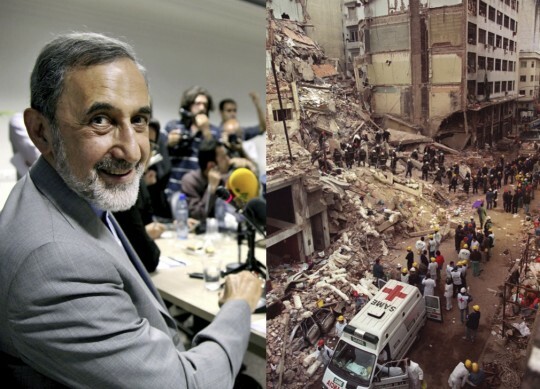 Argentinian authorities have singled out Velayati for helping plan and approve the 1994 Argentine Jewish Mutual Association (AMIA) bombing, an Iranian-orchestrated assault that killed 85 people and remains the deadliest terror attack in Argentina’s history. Velayati’s rise to the upper echelon of Iran’s foreign-policy-making machine has led some observers to criticize Rouhani for elevating extreme hardliners despite promises to act as a moderate reformer. Velayati’s ties to the AMIA bombing were outlined in a 2006 investigation by Argentinian General Prosecutor Alberto Nisman, who has been barred by his government from discussing his findings with the U.S. Congress. Velayati was a member of the secretive Iranian committee that gathered in 1993 to design the attack on the AMIA Jewish center in Buenos Aires, according to Nisman’s indictment, which relied on testimony from a former Iranian intelligence official. "With regard to the committee’s role in the decision to carry out the AMIA attack, [the intelligence official] stated that this decision was made under the direction of Ali Khamenei, and that the other members of the committee were [then-Iranian President Ali Akbar Hashemi] Rafsanjani, Mir Hejazi, Rouhani, Velayati and Fallahijan," the indictment said. An Argentine judge issued an international arrest warrant for Velayati in 2006 for his role in planning the terror attack. Additionally, Velayati has been accused by Ger­man author­i­ties of "plan­ning the 1992 ‘Mykonos Assas­si­na­tion’ attacks in Berlin that killed sev­eral Iran­ian Kur­dish leaders," according to the Anti-Defamation League (ADL). Current Iranian President Rouhani also served as a member of the committee that signed off on the attack. Regional experts say that Rouhani’s peaceful public rhetoric clashes with his internal actions. "Rouhani’s choice of Velayati to replace him as the head of his personal think tank that helps guide key foreign policy strategy sends a disturbing message that the new president is interested in whitewashing the role of those said to be complicit in the deadly attack rather than holding them accountable," said Toby Dershowitz, vice president for government relations and strategy at the Foundation for Defense of Democracies (FDD). "It’s a slap in the face to the victims of the attack and calls into question President Rouhani’s commitment to seek justice for them—and to reverse Iran’s course," Dershowitz said. As head of Iran’s CSR think tank, Velayati will hold great sway over the direction of Iran’s foreign policy and other matters. These include "drawing up large-scale policies of the system, providing consultation services to the [supreme] leader, possible revision of the constitution, presenting solutions for large-scale problems, arbitration with regard to differences between legal entities," according to CSR’s official website. Both Rouhani and Velayati are longtime regime insiders who are experiencing career resurgences after years of serving Khamenei and the regime. Rouhani was almost immediately dubbed as a "moderate" by Western media outlets after he was elected as Iran’s new president last year. Some U.S. media outlets were also quick to praise Velayati’s new posting and hail him as a champion of negotiations with the West. "Velayati, notably, has twice in recent days vigorously endorsed direct one-on-one nuclear talks with the United States and other members of the P5+1," Al Monitor reporter Laura Rozen wrote in a recent post on Velayati’s new role. Rozen herself has taken heat in recent weeks for what critics dubbed overly sympathetic coverage of Iran, as well as for several controversial comments about Jewish politicians. Rozen failed to mention Velayati’s ties to the AMIA bombing in her dispatch.